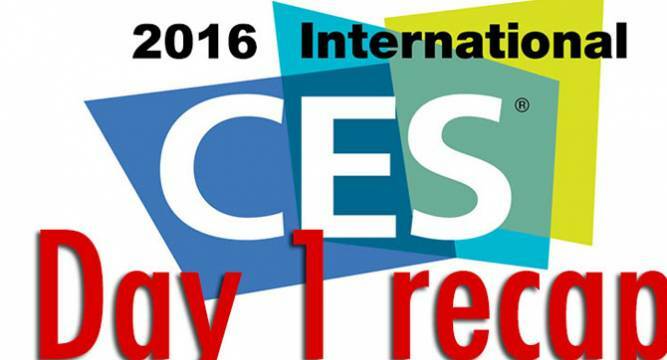 CES 2016, Day 1 in review: All you need to know! Tech world's annual extravaganza kick started on Wednesday. The International Consumer Electronics Show in Las Vegas was everything a tech savy can dream about. With more than 150,000 attendees, the event was grander than ever. 1. Samsung's new smart fridge will let you do online grocery shopping as it is equipped with three cameras inside to help you track your inventory on your smartphone via an app. 2. Huawei unveils Mate 8 with Kirin 950 chipset which features a 6-inch high contrast display. It is first smartphone to run the Kirin 950 chipset. It is available in two versions- 3GB +32GB at 599 euros (approx Rs 42,000) and 4GB + 64GB for 699 euros (approx Rs 50,000). 3. Fitbit Blaze smart fitness watch launched at Rs 19,999 is a device which will be available with black, blue, and plum bands starting March 2016. 4. Microsoft may not be designing the software interface for the car of the future (or the car itself, for that matter). But the company is trying to stake its claim in a fast-growing automotive technology market with its network of data centers and Web-based software tools.